Handy backwash tool holder with silver chrome detangling brush. Direct Salon Furniture Midpoint D-Melo Basin Holder is a handy silicone tool holder with detangle silver chrome brush for your use at your backwash. 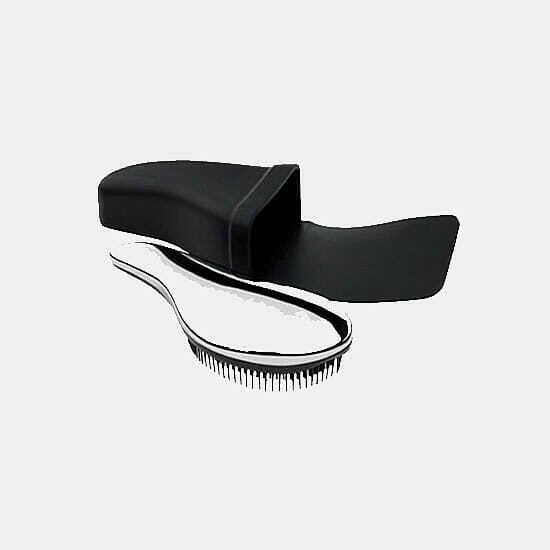 Ideal brush for brushing through conditioner and the holder is a very practical way to keep all your brushes, combs, tweezers etc, close to hand. It features suction cups that will adhere to your wash basin with ease and is made from silicone material which is washable and very resistant. Dimensions: Height 18.5 cm, Width 13 cm, Depth 7 cm. Top quality and stylish design wash unit at a very affordable price. Retro upholstered washpoint with deep ceramic basin. Top quality with a touch of class wash unit at a very affordable price. Designed to save space and can be used with any make backwash chair. Unit combining all the advantages of a washing unit with a styling unit with storage. Stylish wash point with a modern cube design, complete with tilting ceramic basin. Modern design featuring polished chrome arm rests. CURRENTLY OUT OF STOCK UNTIL END OF APRIL. Practical low cost wash unit, suitable for all salons. Portable and lightweight hair washing stand with a deep pink adjustable washbowl. Stylish, funky and unique wash unit with a modern snakeskin design. 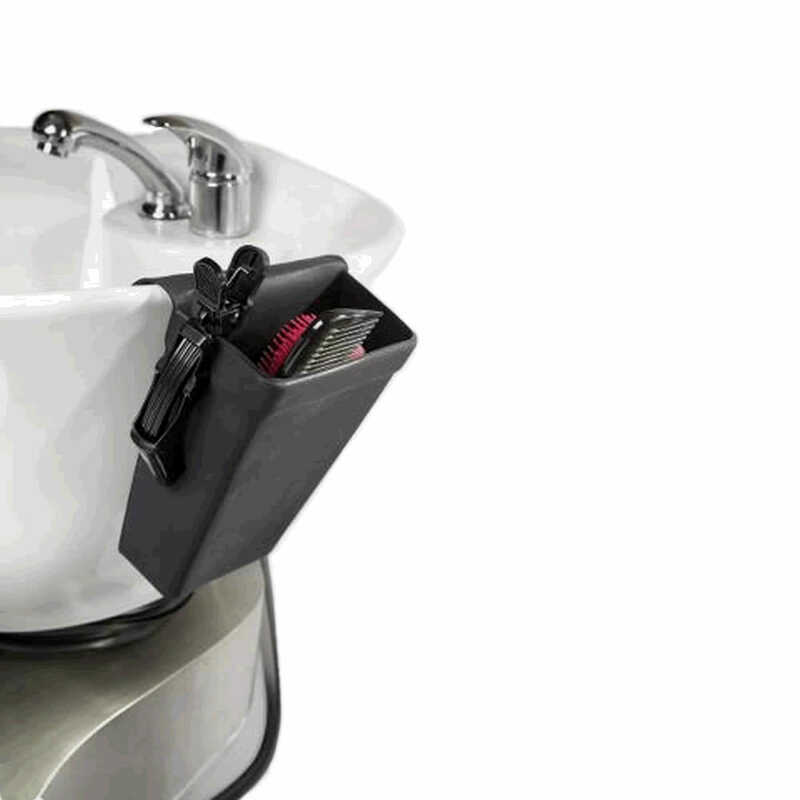 Portable and lightweight hair washing stand with a deep adjustable black washbowl. Practical and stylish washpoint with chrome arm rests and Italian mixer taps. Features a large luxury seat and fully tilting basin at an affordable price. Economical wash unit with a split back rest for easy hair removal. Stylish squared design with a comfortable, deep cushioned seat. Boasts supreme comfort thanks to the foam lumbar cushioning. Offers supreme comfort and supports the entire back. Contemporary wash unit with a simple yet stylish squared design. Top quality, high fashion wash unit at a very affordable price.